Hello everyone! I hope everyone had a happy holiday season. I'm still here in Missouri, baking cookies as usual. 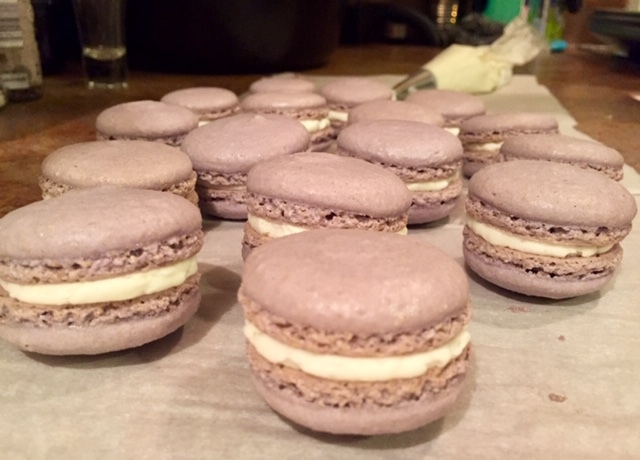 I've switched gears from sugar cookies to macarons. I hadn't baked these since pastry school and forgot how fun they are to bake. They're tricky to make, but once you've made them a few times you get the feel for them. 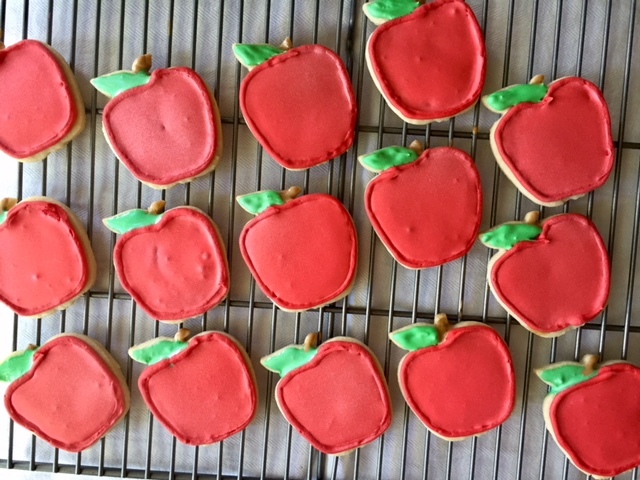 I've baked four batches in the past month. I'm trying to perfect the recipe and technique. Soon, I'd like to experiment with different flavors and colors. Pictures to follow! 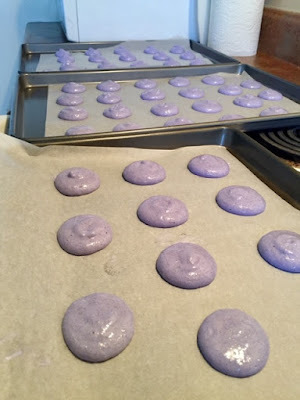 Do you all have a favorite macaron recipe? Or a technique I should know about? What flavor should I bake next? I'm thinking some Valentine's Day macarons need to happen. Or Mardi Gras.... that could be fun as well. 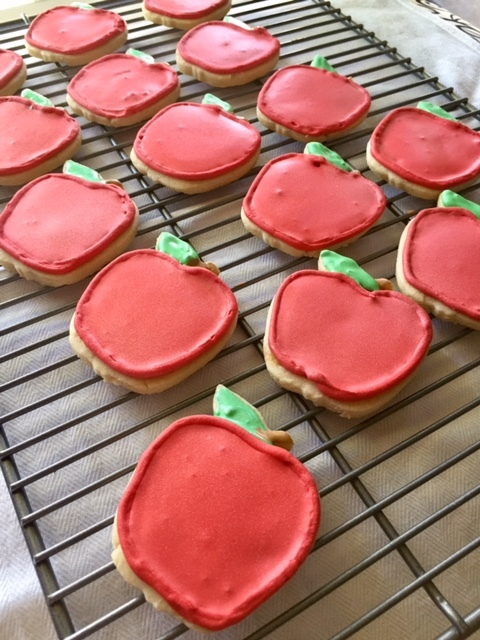 I've been slacking on baking sugar cookies lately. 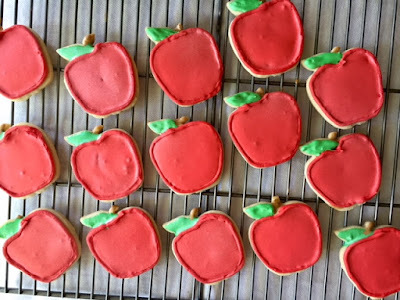 I baked these guys a few weeks ago for my sister's boyfriend who is an instructor at a college here in Springfield. 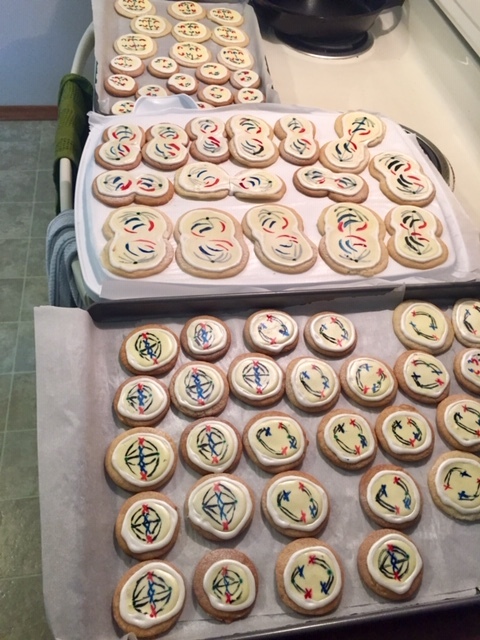 He teaches biology and requested mitosis and meiosis cookies for his class. So I baked the cookies, frosted them, and painted them to look like the cells going through the different phases. Kind of fun, kind of tedious. 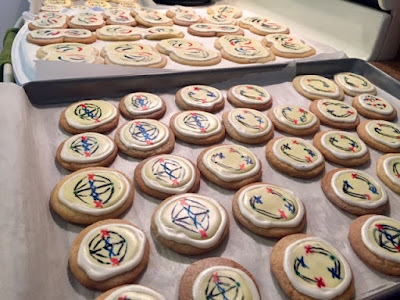 I didn't have a lot of time to make them, unfortunately. Work and homework has gotten the best of me lately. 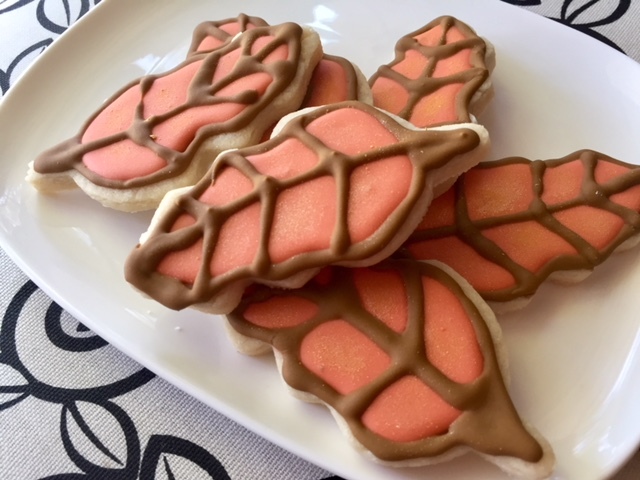 I'm looking forward to making some Thanksgiving cookies! 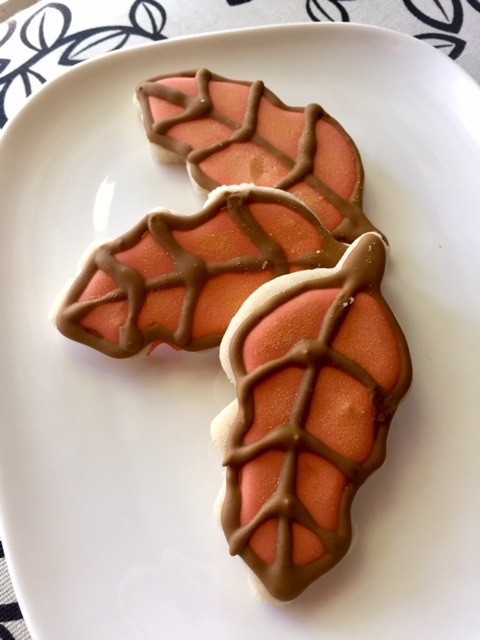 My work is having a Thanksgiving potluck so maybe I'll make some little turkey cookies. 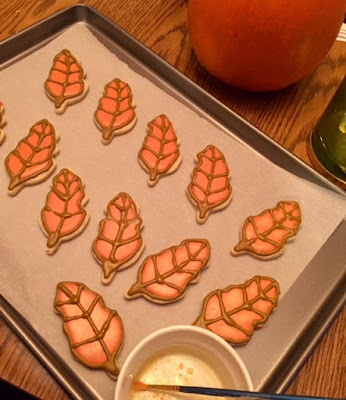 Sugar cookie batch two and three were leaves and pumpkins. I had a little better control of the icing this time, but it's still uneven and not quite fluid. Practice makes perfect! 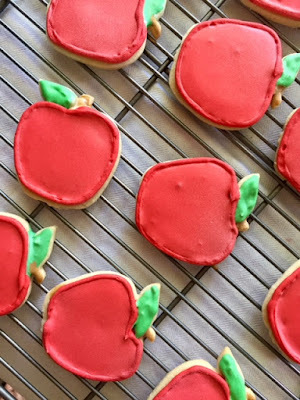 I'm going to bake a batch of sugar cookies this weekend for my nephews' birthday party. Hopefully they'll turn out well. Stay tuned to see what they are! Oh, I used luster dust for the first time on these cookies. I dyed it yellow and painted it on top of the dried icing. I think it would be really pretty mixed into the icing. 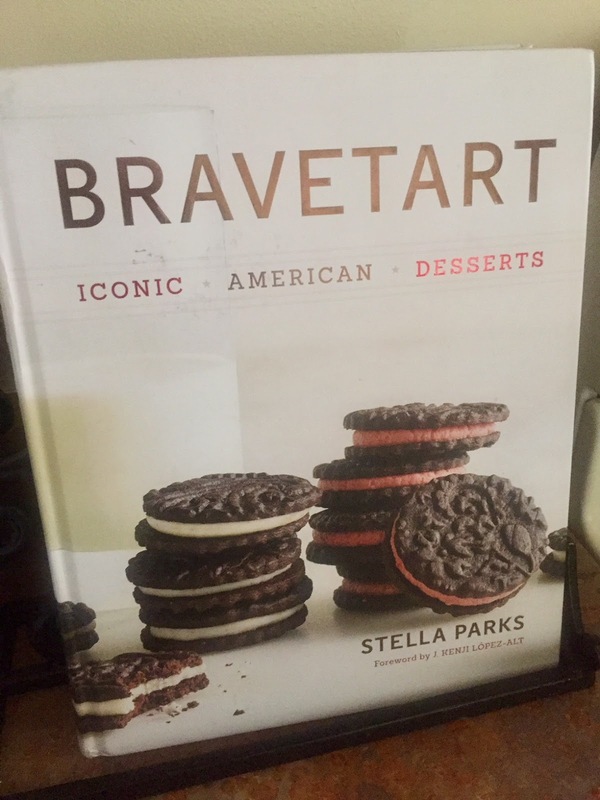 I finally got around to baking something from BraveTart's cookbook the other day. I've owned this cookbook since February, thumbed through it a few times with intentions of baking one of the many delicious desserts from it, but hadn't settled on anything. 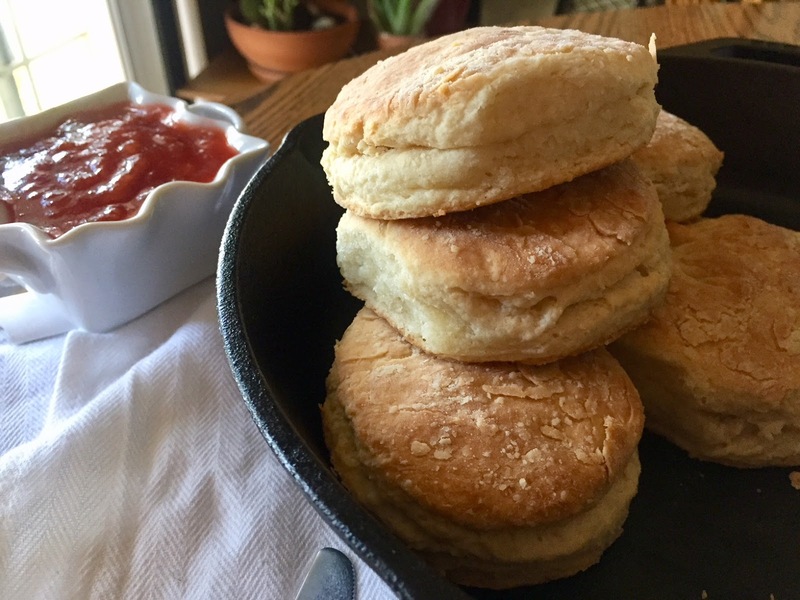 I've been craving biscuits lately, and decided on a BraveTart's Buttermilk biscuit recipe, since I had some buttermilk I needed to use up. Oh, and also I bought some hybrid cherry-plums that I turned into jam and thought it would be delicious on biscuits with salted butter. It's not my recipe to give, but it's pretty similar to this one found on Serious Eats. The recipe on Serious Eats uses 1 cup of yogurt, but if you substitute buttermilk, use 3/4 cup. They were delicious and so very easy to bake. 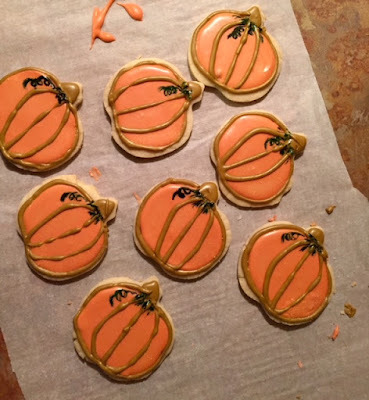 No rolling pin necessary! 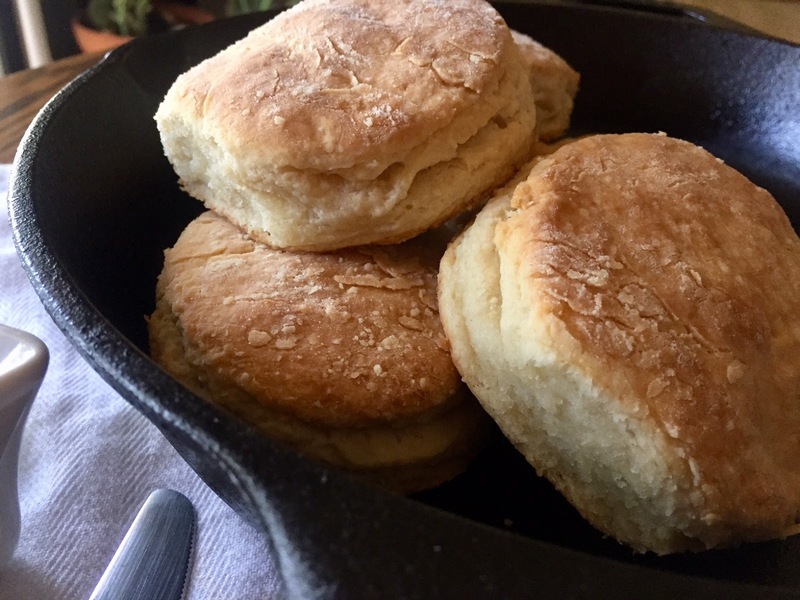 Also, I really like that you bake the biscuits in a cast iron pan. I think next time I would cut them a little thicker and brush the tops with melted butter and a touch of sea salt. Oh hello! I hope everyone is doing well and had the best holiday season! I've been getting back into the swing of things and enjoying that sweet Missouri life again. I'm looking forward to Valentine's Day next week, are you all? I know it's kind of a cheesy, commercialized holiday, but I've always enjoyed it. It's fun, and it's nice to be able to celebrate all of your loved ones. 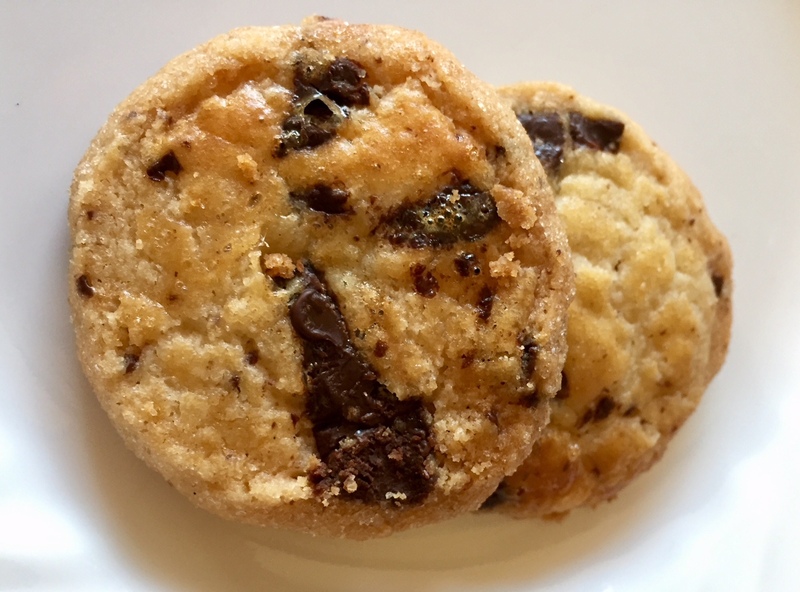 You could give your loved one a box of chocolates, or you could give them a box of this buttery, delicious chocolate chunk shortbread. 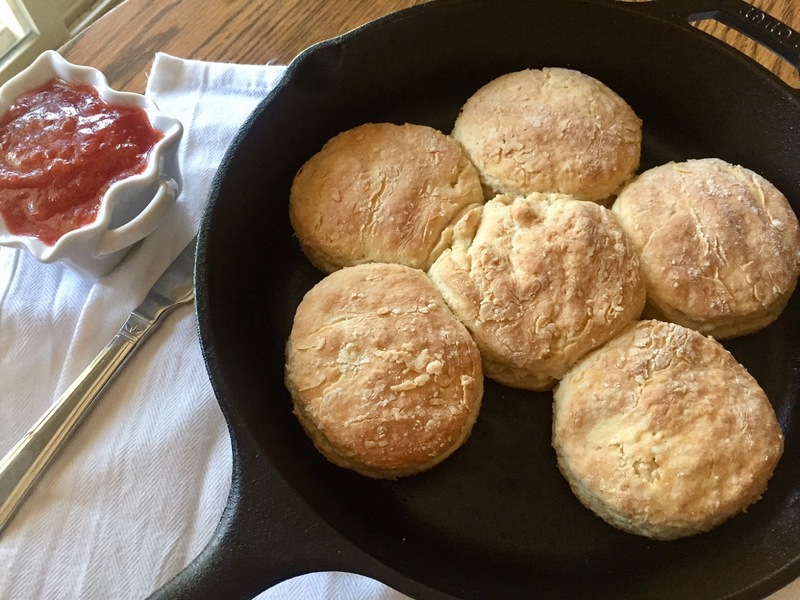 I know you've see this recipe a million times, it pretty much broke the internet; it's been featured on many Instagrams, blogs and food websites. 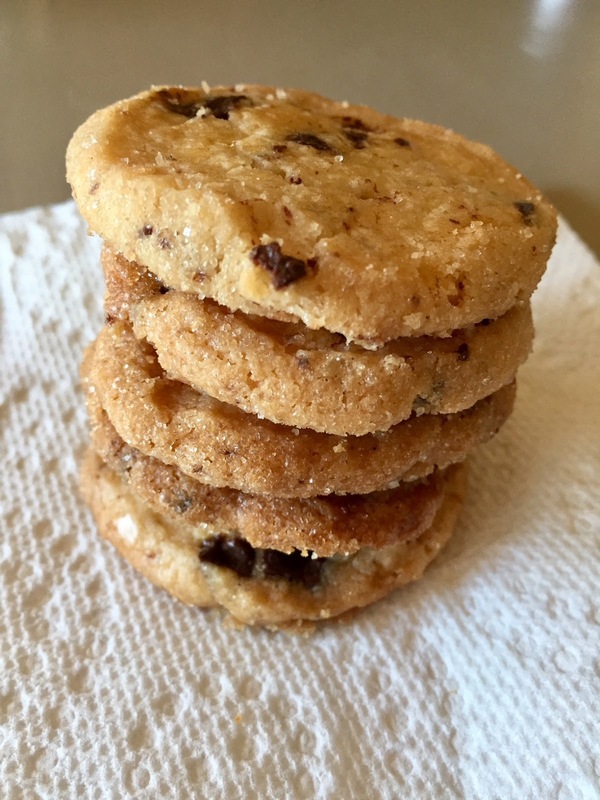 It's Alison Roman's Salted Butter Chocolate Chunk Shortbread recipe. While I disagree and don't think this should ever replace your traditional chocolate chip cookie, I do think it's extremely delicious and would absolutely make this recipe again. It was simple to make, too. 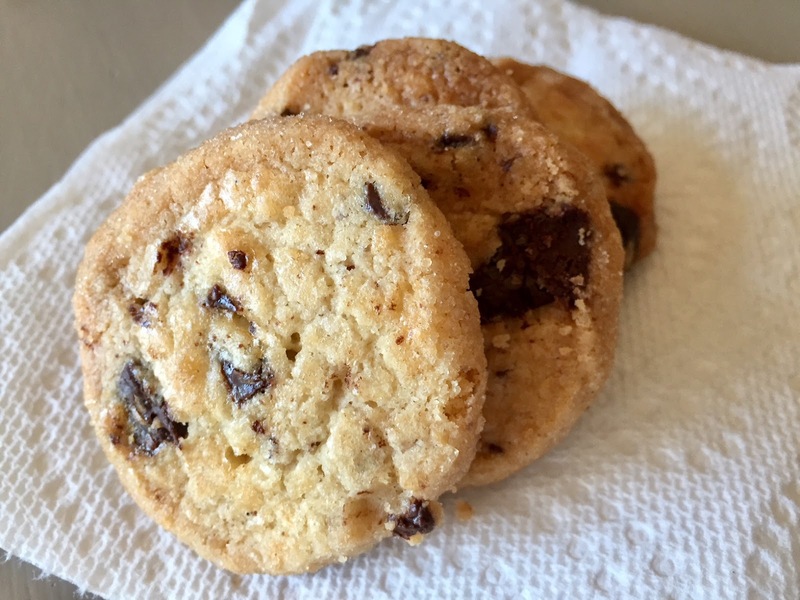 You just whip up some salted butter, granulated sugar, a touch of brown sugar, vanilla, flour, and chopped dark chocolate. I took it a step further and used SALTED dark chocolate, oh yes I did. The dough is rolled into logs then rolled in coarse sugar. The cookie logs get chilled down, sliced, brushed with egg wash, then sprinkled with coarse sea salt. I didn't have any of that good flaky salt, so I sprinkled mine with ground sea salt. Still very good! Here's the link to the recipe for you again.